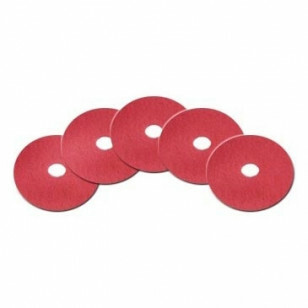 Our red floor buffing pads are our lightest duty floor scrubbing pads. They can be used for everyday scrubbing, or heavy duty buffing to remove those deeply embedded scratches. Follow with a 17" white polishing pad to ensure a high gloss. For use with our 17 inch 175 RPM floor polishers/buffers. worked great for applying an oil finish to a wood floor.